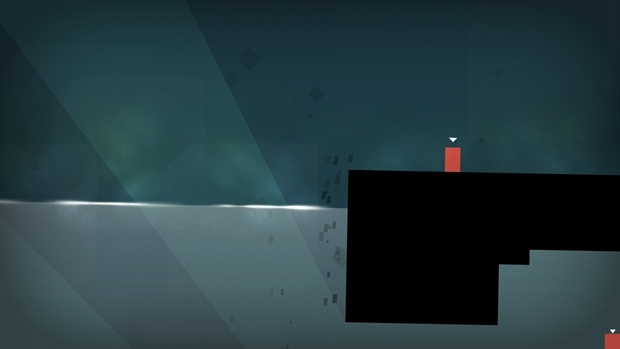 Its been more than two year since Mike Bithell’s Thomas Was Alone originally launched on Windows and MAC platforms. Since then the game has been released on almost every platform imaginable including iOS, Android, PlayStation 3 and Vita. 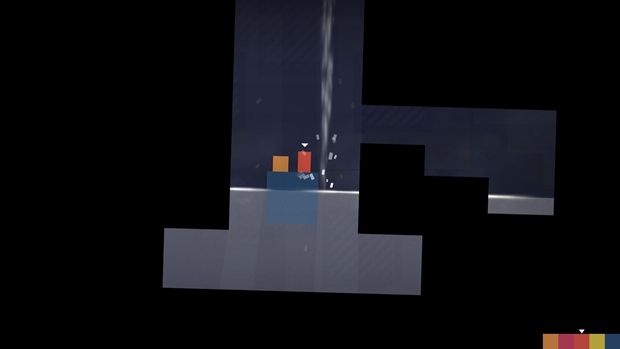 If that were not enough, Thomas Was Alone launched on the PS4, Xbox One and Wii U last month. 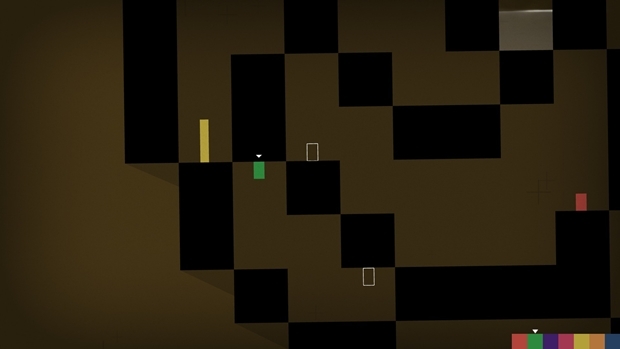 GamingBolt recently caught up with Mike Bithell to know more about his inspiration behind developing the original game, the indie development scene, thoughts on the new consoles, and much more. Check out the full interview below. For those who are not aware, can you please tell us a bit about yourself and how you got into the games business? My name is Mike Bithell, and I’m a game designer. I started in the games industry fresh out of University, working as a junior designer at a company called Blitz Games about seven years back. I worked my way up the ranks, while fiddling with hobby games in my spare time. Thomas Was Alone was one of those projects, one that got a little out of hand. Although the game is available for almost two years now, can you tell our readers what was the inspiration behind bringing Thomas Was Alone to new consoles? The most surprising aspect of the game’s ongoing success is how it keeps finding new audiences with each new platform we bring it to. Each time it finds a bunch of players who’ve not tried it before, and that’s exciting to see. Bringing the game to WiiU and XB1 certainly aims to find new players who maybe don’t own the Sony consoles, and the PS4 release is a way of letting players who already own the game on PS3 take it on to their new system. It’s fun to be able to deliver the game to players this way. "Thomas Was Alone was the natural outcome of me looking at the last thousand pounds in my bank account and making the game I could afford." Having said that, do you think players who have already played it, will they feel intrigued enough to pick it up again on the new consoles? I get a lot of tweets from folks saying they’ve bought it a few times. That baffles me, but I’m immensely grateful. It seems that folks want the game on their system of choice, and also like gifting it to friends, we see a lot of people gifting it at Christmas. All that support just empowers us to keep bringing the game to new audiences, while funding Volume’s dev. I found the game’s baseline to be pretty strong. A game that takes place in a computer mainframe, wherein artificial intelligence routines have run out of control. How much brainstorming did you do to think something out the box like that? I went through a bunch of story context ideas for the game. I knew it was about friends, but I didn’t know where they were for a very long. When I decided on the abstract aesthetic, really went for that rectangle stuff, it felt like AI was a nice justification for those in the audience who didn’t share my love of minimalism. I also liked the idea of an AI origin story which felt more human than skynet. Looking back now, if you had the funding of a AAA game how much different do you think Thomas Was Along would have been? I wouldn’t have made it! Thomas Was Alone was the natural outcome of me looking at the last thousand pounds in my bank account and making the game I could afford. It has, well, it’s been a pretty fantastic return on that investment. "If you already own the game on PS3 or Vita, you can absolutely pick it up from where you left off on your PS4." Can you describe some of the other graphical and content updates that new versions will have? It’s pretty much identical to previous versions. Slapping a bunch of new effects on the game would not really improve it, and would likely do damage to the simplicity we created. Are there any plans to support cross buy and cross save across the PlayStation platforms? Not just plans, actual, awesome reality. Yes, we wanted to deliver that for our players, and we have. If you already own the game on PS3 or Vita, you can absolutely pick it up from where you left off on your PS4. How difficult is to be an indie developer compared to AAA? What kind of challenges does an indie comes across? All game dev is difficult, and honestly, I’ve found indie much freer than working within big companies. The numbers just have a couple less zeroes. I love the wearing of many hats, the variety in my working days. It’s all a lot of fun. From an indie support point of view, what are your thoughts on Sony’s indie policy against Microsoft’s? I think both MS and Sony are doing a great deal to improve their routes to platform.. knocking down walls. I’m incredibly excited to see TWA spreading across both platforms. "[On a possible sequel] I'll definitely do it if I ever think of a story or gameplay idea that suits it." Having worked on both the new consoles, what is your opinion on them? Are they pretty close to each other? We’re at a point where we’re talking about, effectively, two PCs plugged into TVs. The spec differ in a bunch of ways, but yeah, they’re in the same ballpark. Thanks to the rise of middleware like Unity, cross platform dev means not having to worry too much about the little differences. Can you tell us how is the Wii U version shaping up and how are you using the GamePad? Yeah, it looks great on WiiU, works really well. We’re not doing too much platform specific gimmickry, but it’s fun to play on the gamepad, that’s a nice screen to play on, with those tactile controls. Are there any plans to release a sequel? Given the game’s success I am sure you must have at least given a thought about it. I’ll definitely do it if I ever think of a story or gameplay idea that suits it. I think a simple rehash would be a waste of everyone’s time, but if something comes to mind, sure. Is there anything else you want to tell our readers before we take off? Only to please, keep buying my games. They are fun, and rectangley. And next year, Volume is out.. which should be.. fun.